As we begin a new academic year, we welcome an outstanding group of new faculty to Arts, Sciences and Engineering. The brief introductions that follow highlight the scholarly achievements, intellectual leadership, and dedication to teaching that they bring to our academic community. William Bridges joins the faculty from the University of California–Irvine, where he taught modern Japanese literature and culture from 2015 to 2017. He was also an assistant professor of Japanese at St. Olaf College from 2012 to 2015. His research and teaching have been recognized by the Fulbright Program, the Japan Foundation, the Association for Asian Studies, and the National Endowment for the Humanities. His intellectual home is at the intersection of modern Japanese literature, African-American literature, and comparative literature. Bridges is particularly interested in studies of the Black Pacific, which considers the ebb and flow of black people, thought, and culture throughout the Pacific. He is working on a manuscript entitled Playing in the Shadows: Fictions of Race and Blackness in Postwar Japanese Literature. His previous research has investigated the place of fiction in the construction of racial and ethnic identities. His next research project is The Black Pacific: On the Hermeneutics of Racial Existence. 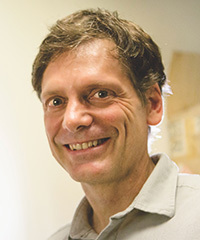 Scott Carney joins the University after serving as a professor of electrical and computer engineering at the University of Illinois at Urbana–Champaign. A Rochester alumnus, he earned his PhD in physics, studying under Emil Wolf. Carney was a postdoctoral associate at Washington University in St. Louis for two years before joining the University of Illinois in 2001. Carney plans to build on the initiatives of his predecessor, Xi-Cheng Zhang, to create a strong undergraduate program and involve faculty in the institute’s governance. A theorist who has written seminal papers on near-field inverse scattering, Carney bridges the gap between pure and applied research. Among his innovations is a handheld medical diagnostic probe that uses near-infrared light waves rather than ultrasound. The device is produced by Diagnostic Photonics Inc., a start-up that Carney co-founded and serves as chief scientific officer. 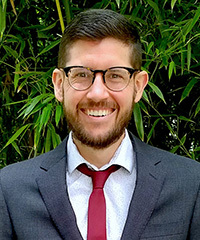 Andrew Cashner received his PhD in the history and theory of music from the University of Chicago in 2015 with a dissertation on theological aspects of devotional music in 17th-century Mexico and Spain. The American Musicological Society selected his article in the Journal of Early Modern History, “Playing Cards at the Eucharistic Table” for its 2015 Alfred Einstein Award. Other honors include a Mellon/ACLS Dissertation Completion Fellowship, a US Department of Education Jacob K. Javits Fellowship, and a Pre-Dissertation Research Fellowship from Columbia University’s Center for European Studies. His book in progress, Faith, Hearing, and the Power of Music in Devotional Music of the Spanish Empire, investigates how Hispanic Catholics expressed and enacted their beliefs about musical hearing through the medium of music itself. He is preparing companion musical editions of villancicos for the Web Library of Seventeenth-Century Music. Other projects explore Spanish colonial representations of racial differences and intercultural encounter through music across the early modern world. Broader interests include Protestant and evangelical congregational song; stylistic allusion and homage; hermeneutics and ritual theory; canon formation; and music of Mozart, Brahms, Britten, and Messiaen. He also studied piano at the New England Conservatory and previously taught at the University of Southern California. He is an active performer on piano, organ, and harpsichord, as well as a composer and improviser. 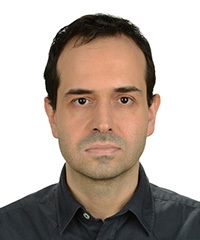 Müjdat Çetin joins Rochester as an associate professor from Sabanci University in Istanbul, Turkey, where he has been a faculty member since 2005. Before that, he was with the Laboratory for Information and Decision Systems at MIT. Çetin has held visiting faculty positions at MIT, Northeastern University, and Boston University. 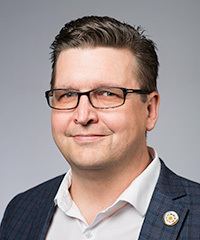 His research interests include data, signal, and imaging sciences, with crossdisciplinary links to areas in electrical engineering, computer science, and neuroscience. His research group has made advances in three key areas: computational sensing and imaging as applied to radar and biomedical imaging; probabilistic methods for image and video analysis as applied to biomedical image analysis, microscopic neuroimaging, and computer vision; and signal processing and machine learning for brain-computer/machine interfaces, with applications for alternative communication and rehabilitation for patients and monitoring of cognitive states. Çetin has had leadership and organizational roles from several international conferences. He was one of the keynote speakers for the 2015 International Workshop on Compressed Sensing Theory and Its Applications to Radar, Sonar, and Remote Sensing. Çetin is currently serving as the vice chair of the IEEE Computational Imaging Special Interest Group. Ranga Dias joins the University after a postdoctoral fellowship in the Department of Physics at Harvard University. An experimental extreme condensed matter physicist, Dias has a background in materials science and engineering. His research focuses on materials at extreme pressure and temperature conditions, a field that explores new materials, novel phenomena, and exotic states of matter. His main interests are high temperature superconductivity, magnetism, and superfluidity in the vicinity of quantum phase transitions. His research efforts are also directed toward utilizing high pressure and temperature conditions to understand chemical processes and interactions to synthesize novel advanced materials, such as high energy density materials, superhard solids, and quantum materials. During his three-year postdoctoral appointment, Dias helped lead a team that discovered solid metallic hydrogen, a state of hydrogen that’s predicted to have exotic properties, such as room temperature superconductivity and superconducting superfluidity. Dias has published in journals such as Science, Physical Review Letters, the Proceedings of the National Academy of Sciences USA, and Nature Scientific Reports. 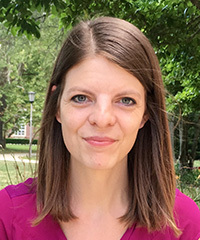 Laura Elenbaas joins the faculty after completing her PhD in human development at the University of Maryland, where she was a National Science Foundation graduate research fellow. Elenbaas studies social cognition, intergroup attitudes, and morality in childhood and adolescence. Her recent research examines children’s perceptions of social inequalities, stereotypes about social groups, and reasoning about complex moral issues like rights and discrimination. The integrative work links children’s everyday decision making with issues of exclusion and inequality in broader society. Elenbaas is also committed to the application of developmental science through community collaborations. Elenbaas has received funding from the American Psychological Association, the American Psychological Foundation, and the Society for the Psychological Study of Social Issues. Her work has appeared in peer-reviewed journals including Developmental Psychology, Journal of Experimental Child Psychology, and Cognition. 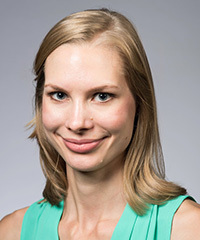 In addition to her research, Elenbaas will teach undergraduate and graduate courses and mentor PhD students in the developmental psychology program. 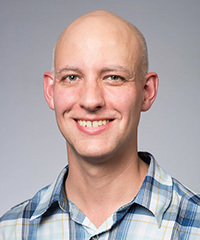 Justin Fay joins the faculty from Washington University in St. Louis, where he was an associate professor in the Department of Genetics and ran a lab in the Center for Genome Sciences and Systems Biology. Fay’s research encompasses the intersection between genetics, evolution, and computational biology. At Washington University, Fay investigated the evolution of gene regulation in yeast using models of transcription factor binding sites and population and comparative genomics data. His group established a narrative for the origin and domestication of yeast used to produce fermented food and beverages. Fay and his research team will continue their work on the genetic basis and evolution of changes in gene regulation and how they relate to novel trait acquisition and divergence between species. Fay will also continue a number of collaborations that leverage his group’s computational skills and expertise in evolutionary genetics. The projects examine the impact of deleterious mutations on the domestication of barley, the genetic basis of preterm birth in humans, and using experimental evolution to test evolutionary theories of fluctuating selection and their consequences. Anderson Frey joins the faculty after obtaining his PhD in economics at the University of British Columbia. He spent the past year as an instructor in the Department of Political Science. Frey’s research interests include political economy, applied quantitative methods, and the politics of developing countries. In a series of recent articles, he examines the effects of poverty alleviation policies in the local politics of Brazil, with a focus on the changes that arise in the structures of patronage, vote buying, and clientelism. 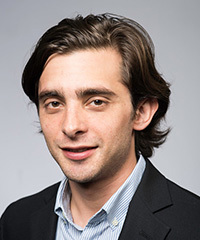 He is also developing a model to understand political coalitions in environments plagued by clientelism, using data from Mexico and working in a series of articles that employ econometric techniques to quantify the effects of geographical sorting on U.S. voter behavior. Cameron Hawkins joins the faculty after holding teaching appointments at the University of Chicago and at Queensborough Community College (CUNY). Hawkins’s research concentrates on the social and economic history of the ancient Roman world. He is particularly interested in the business strategies of urban artisans in the Roman Empire during the late Republican and early Imperial periods (133 BCE–235 CE). In his recent book, Roman Artisans and the Urban Economy (Cambridge University Press, 2016), he draws inspiration both from contemporary economic theory and from studies of urban economies in early modern Europe in order to provide new interpretations of the ancient evidence for key aspects of Roman economic life. Hawkins will teach courses on selected topics in Greek and Roman history for the Department of Religion and Classics. His offerings for 2017–18 include a course on Alexander the Great and a course that examines the practice and writing of history in the ancient Greek and Roman worlds. Future offerings will include courses on Greek and Roman economic history, on ancient slavery, and on warfare in antiquity. David Holloway teaches courses on Japanese literature, popular culture, and gender. 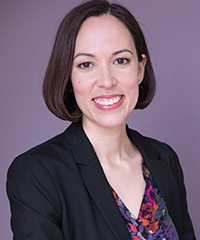 Holloway completed a one-year postdoctoral appointment at Washington University in St. Louis before joining the Rochester faculty in 2015, initially as a visiting assistant professor of Japanese. He specializes in contemporary Japanese fiction with an emphasis on gender and sexuality. His academic interests include youth cultures and subcultures, gender and sexuality, and Japan’s “lost decade.” Some forthcoming publications include “Fat Phobia in Matsuura Rieko’s ‘Himantai kyōfushō,’” (Sungkyun Journal of East Asian Studies), “Masochism in Contemporary Japanese Fiction” (Electronic Journal of Contemporary Japanese Studies), and “The Unmaking of a Diva: Kanehara Hitomi’s Comfortable Anonymity,” in Diva Nation: Female Icons from Japanese Cultural History, (Berkeley: University of California Press). Holloway is completing a monograph entitled The End of Transgression: Toward a New Nationalism in Contemporary Japanese Texts, focuses on which is the rhetorical and discursive mechanics of literary “bad girls” from fiction that brackets the millennial turn (roughly 1990 to 2010). In the study, he contends that women writers today deploy truant, unruly, restless, and aggressive female protagonists not to challenge the status quo, but to reaffirm it. In addition, he is preparing another book-length study on representations of HIV/AIDS in Japanese visual culture from the 1990s to the present. Emily Jusino joins the faculty after visiting assistant professorships at Rochester and at Duke University. Her research interests focus on ancient drama and storytelling, specifically on issues of reception, performance, and dramatic construction in Greek tragedy. Her current book project, Deception in Sophoclean Dramaturgy, examines how Sophocles uses deceptive or misleading information to create dramatic tension, deepen characterizations, and manipulate audience expectations, and contextualizes that usage in Greek literature more broadly. Jusino teaches Greek and Latin language classes, as well as courses in translation on ancient literature and mythology, in the Department of Religion and Classics. 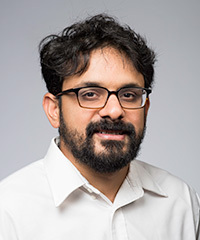 Before coming to Rochester, Arjun Krishnan served as a Wiley Assistant Professor/Lecturer at the University of Utah and as a postdoctoral fellow at the Fields Institute in Toronto. 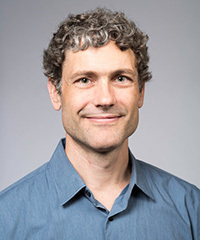 His research centers around stochastic growth models that share connections with other problems in number theory, statistical physics, and combinatorics. The growth models provide mathematicians with ways to view certain universal statistical phenomena in his work. Krishnan uses and develops tools from partial differential equations, ergodic theory, and probability theory. 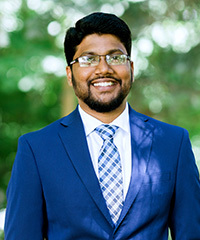 He received the William Mirsky Memorial Award for excellence in academics and research at the University of Michigan and won a bronze medal for India at the International Chemistry Olympiad. Mary Kroeger joins the faculty as an assistant professor of political science after receiving her PhD from Princeton University. She studies the influence of nonlegislative actors in legislative bodies on the U.S. state level. She is working on papers about the differential utilization of model legislation across legislatures and legislators and the prevalence of group-sponsored bills in the California state legislature. Another project examines the role of agencies in statutory drafting, which challenges the assumption that bureaucratic activity occurs subsequent to the legislative process. Overall, these projects show that groups play a large role in legislative drafting and bill advancement. 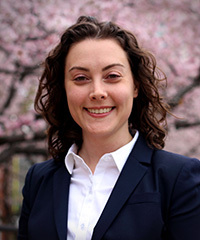 Her other projects analyze the distribution of power across legislative actors by examining the extent to which bills change throughout legislative deliberation. She is teaching undergraduate and graduate classes in American politics and U.S. policymaking processes. 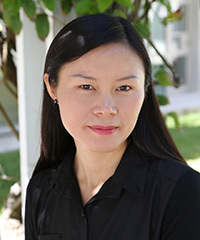 Lihong Liu joins the faculty after her appointments as postdoctoral fellow at the J. Paul Getty Research Institute in Los Angeles and the A.W. Mellon postdoctoral fellow in the National Gallery of Art’s Center for Advanced Study in the Visual Arts in Washington, D.C. She was also a visiting assistant professor at Johns Hopkins University and a guest researcher at the Kunsthistorisches Institut in Florenz-Max-Plank-Institut in Italy. Liu specializes in Chinese art history and visual and material culture with a focus on the early modern era (1400–1800 CE). Her research pivots around the issues related to how artworks and ornaments can help delineate the interrelationship between human consciousness and the world in history and at present. In her book under preparation, Scenic Realities: On the Matter of Painting, China 1450– 1550, Liu explores an ecological approach to considering the practice of painting in the everyday environment in China’s mid-Ming dynasty. Liu has also worked extensively on a second book-length project on the use of crystal glass in the early modern art world, in which she investigates the technical innovation of making colorless glass in Europe since the 15th century and its global transmission in the subsequent centuries. She interprets how new material changed people’s sense of the self in a transcultural context. Other projects include diplomatic art, ephemeral matter and time in artistic expressions, and the role of shadows in artistic conception and representation. Marc Porosoff joins the Rochester faculty after an appointment as an NRC postdoctoral research associate at the U.S. Naval Research Laboratory in Washington, D.C. At NRL, he studied catalysts for CO2 hydrogenation as part of the “Seawater to Fuel” project. At Rochester, Porosoff plans to investigate new catalysts for converting abundant C1 and C2 resources (CO2, CO, CH4, C2H6) into chemicals and fuels. Understanding the relationships between chemical reactivity and catalyst electronic/structure properties are extremely important for developing catalysts that exploit particular reaction pathways. This approach requires controlled synthesis of catalysts combined with kinetic reactor studies and in situ techniques. In particular, his research targets replacement of precious metals with low-cost, alternative catalysts for CO2 utilization and conversion of shale gas into value-added chemicals and fuels. 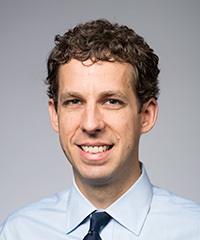 William Renninger joins the University from Yale University, where he was an associate research scientist and a postdoctoral associate in the Department of Applied Physics. Previously, Renninger was a postdoctoral associate in the School of Applied Physics at Cornell University. Renninger studies experimental nonlinear optics to explore the ways in which light and matter interact as well as to identify and develop successful commercialized technologies. With expertise on ultrafast optical and novel optomechanical phenomena, Renninger will form a research group equipped to explore contemporary problems in nonlinear optics. Initial areas of focus will include nonlinear pattern formation, arbitrary ultrashort pulse generation, multimode nonlinear optics, and traveling-wave optomechanics. The group will apply their results to technologies ranging from high performance optical sources and silicon photonics to the rapidly evolving area of quantum information technology. Michele Rucci joins the faculty from Boston University, where he was a professor of psychological and brain sciences. He received Laurea (MA) and PhD degrees in biomedical engineering from the University of Florence and the Scuola Superiore S. Anna in Pisa, respectively. Before joining the faculty of Boston University, he was a fellow in computational neuroscience at the Neurosciences Institute in San Diego. Rucci’s research program combines experimental and theoretical approaches to study mechanisms of visual perception. His primary interests lie in the elucidation of how motor and sensory processes interact in the human brain and how motor behavior contributes to the extraction and processing of visual information. Among his contributions to the field, Rucci and his colleagues have transformed our understanding of the functional roles of microscopic eye movements that take place while we fixate on an object of interest. He has demonstrated that these miniature eye movements play important roles in reformatting the visual input to be processed efficiently and for systematically exploring objects during tasks that require high spatial precision. At the University of Rochester, Rucci will continue to study visual perception via a combination of techniques. He will collaborate with researchers in different disciplines to gain a deeper understanding of how the visual system operates in health and disease and will also explore the application of biological mechanisms to artificial vision systems. 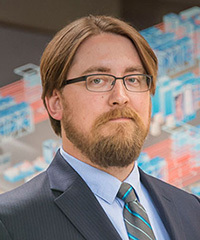 Adam Sefkow joined the faculty in 2016 after serving as a principal member of the technical staff in the Pulsed Power Sciences Center at Sandia National Laboratories. He has made scientific contributions on a range of topics, including magnetoinertial fusion, short-pulse and long-pulse laser-plasma interaction physics, and intense charged-particle beam transport. He has also provided leadership toward establishing predictive capability through his collaborations with experiments at all three of the nation’s flagship high-energy-density facilities. Sefkow recently received a prestigious Early Career Research Program award from the Department of Energy’s Office of Fusion Energy Sciences to help develop a hybrid fluid-kinetic multi-physics simulation code to help interpret data acquired from high-energy-density physics and inertial confinement fusion experiments at the University’s Omega Laser Facility, the National Ignition Facility, and the Z Pulsed Power Facility. John Singleton joins the Department of Economics as a tenure-track assistant professor. He is an applied microeconomist, whose primary research interests lie at the intersection of public economics and the economics of education. His work focuses on empirical questions about the finance and equity of school choice policies concerning charter schools and private-school vouchers. 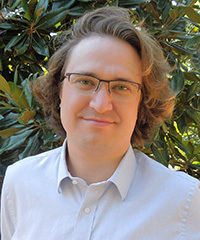 His thesis shows that the formula for funding charter schools that is typically used–– whereby the schools are given a fixed amount irrespective of the needs of the populations they are to serve––results in a skewed distribution of charter schools that favors areas with low costs of operating the schools. Singleton then proposes alternative funding rules that address this problem. 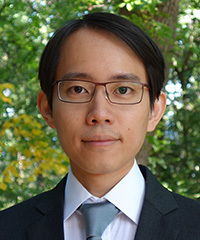 Kegon Tan joins the Department of Economics as a tenure-track assistant professor. 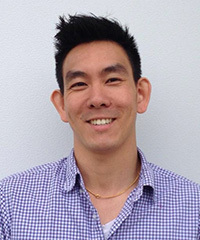 Tan is an applied microeconomist who is broadly interested in the issue of human-capital development and its impact on socioeconomic outcomes. His current work examines the mechanisms by which certain parental choices and skills affect children. Bequests to children are a key factor in parental saving behavior; and the choice of which neighborhood to live in is a key determinant of educational outcomes of children. Tan and coauthors provide the quantitative estimates of these links. In a separate, but related, work, Tan examines the nurturing effects of the cognitive and noncognitive skills of parents in transmitting human capital to children. From 2015 to 2017 Brianna Theobald was a Chancellor’s postdoctoral fellow in American Indian studies, at the University of Illinois at Urbana–Champaign. Her dissertation, “‘The Simplest Rules of Motherhood’: Settler Colonialism and the Regulation of American Indian Reproduction, 1910–1976,” focused on Crow women’s efforts to exercise control over birthing practices and motherhood in the face of federal regulations related to Native American reproduction. Her forthcoming book, Reproduction on the Reservation: Federal Indian Policy, Pregnancy, and Childbirth in the Twentieth Century, is under contract with the University of North Carolina Press. Theobald will be teaching courses in American history, women’s history, Native American history, and the history of reproduction. 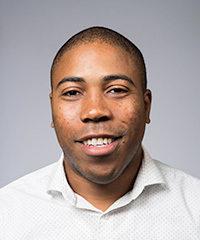 Aaron Steven White joins the faculty after a two-year postdoctoral fellowship in Johns Hopkins University’s Science of Learning Institute, where he also held affiliations in the Department of Cognitive Science and the Center for Language and Speech Processing. As a computational semanticist, White studies the relationship between concepts and the words and linguistic structures that are used to refer to them. In prior work, he investigated how knowledge of that relationship undergirds children’s ability to learn the words of their language. 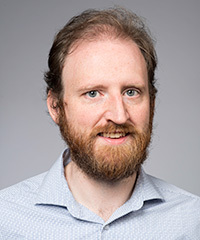 His current work focuses primarily on combining classic logic-based approaches to semantics with modern machine-learning methods in order to construct theoretically motivated models that are designed to synthesize multiple data sources. 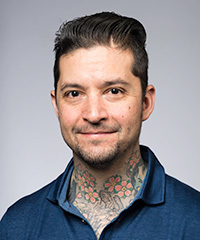 With his collaborators at Johns Hopkins, he is currently investigating how the models can be deployed as modular components of a system for rapid knowledge base construction from multimodal sources, including images, audio, and raw text. Wu joins the faculty from Argonne National Laboratory, where he was a postdoctoral scholar in the Materials Science Division. While at Argonne, he worked on using new magnetic materials for both energy generation and other applications. 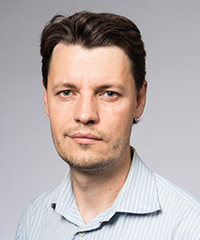 His research interests involve merging the world of quantum materials science with nanoscale electronic device engineering to create the next generation of faster, smaller, and more energy-efficient electronic devices. The multifaceted and developing field lies at the intersection between traditional electrical engineering, materials science, and experimental condensed matter physics. At Rochester, he will explore novel devices for nanoscale spin transport, complex oxide thin film materials synthesis for functional quantum electronics, and 2-D electronic systems for controllable topological electronic devices.